This is a very ticklish problem, worrying many people, as to how long they will live. Birth and death are controlled by God. But the Hand of man gives us certain indications which indirectly are the message of God. Many efforts have been made to solve this tangle, but so far the exact tima of death could not be reckoned. But the construction and character of Lines along with other signs on the Hand definitely lead us to conclusions about the general state of health, vitality,longevity vigour diseases and other health hazards. The experience of palmists since time immemorial has established certain canons and rules to check this agonising point. The views of Western and Hindu palmists are also detailed in this chapter for the guidance of readers. The world at large has frequently been experimenting on this science and announces its results based on experiments, irrespective of the fact whether they are correct or not or whether their experiments have been made only on one aspect of this science or more. It seems that the ancient sages believed that one could deduce the age of a subject from the Heart Line and not from the Life Line. Hindu sages in their different works like the Garga Samhita, the Varah Samhita, the Brihat Samhita of Varahamihira, the Viveka Vilasa, the Samudratilaka and the Nardiya Samhita have discussed this point and have advocated that the length of life should be ascertained from the Heart Line and not from the Life Line. They have indicated that if the heart line starts from the bottom of the Mount of Mercury and runs to the centre of the Moount of Jupiter in good shape, that indicates 1 00 to 1 20 years of life. 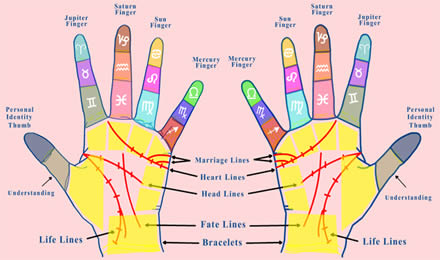 If this Line is found broken in the middle or some other signs are found on the Handset he life span will be reduced accordingly They are of opinion that if the Heart Line starts from the lower point of the Mount of Mercury and reaches the middle of the Saturn Finger, it denotes 80 years as the span of life. According to the length of this Line, the age should be determined. As shown by many Western palmists in their works, Hindu sages have already said that the distance between any two of the Fingers from the little Finger to the Forefinger has been stated to be 25 years when the life span is 100 years but according to my experience, it is 20 years, as shown in figures of measurements of time. Giving their analysis about the Heart Line. they have pronounced that if a strong, clear. deep, good and long Line is found on the Hand. the length of Life is greater. A Line having more offshoots denotes distress. As explained above, a broken Line shows a shorter span of Life. An ill shaped Line is an indication of unsound health, any island, star, etc., on this Line means illness, bad health, injury, etc. 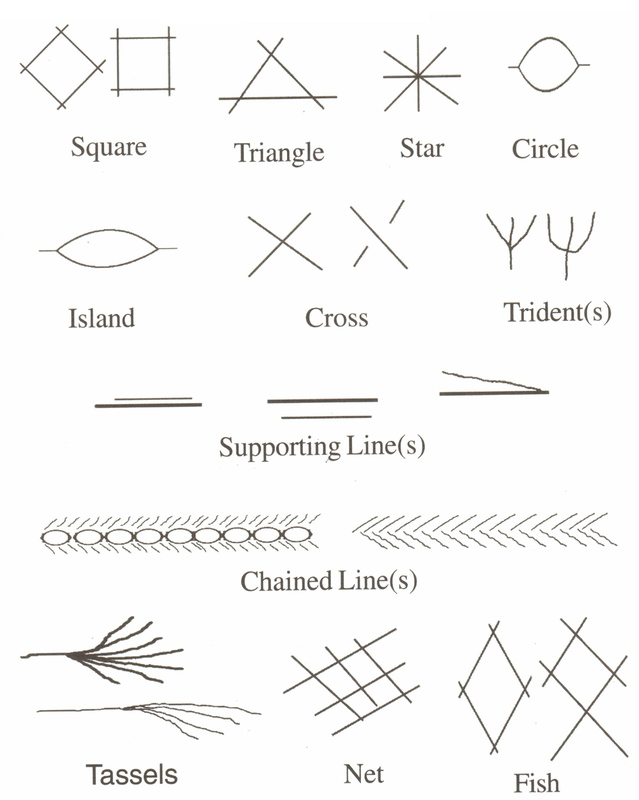 Crossing of other Lines at any point means illness. 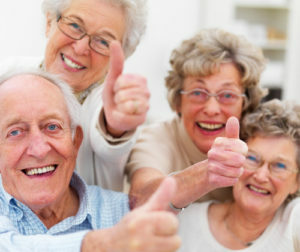 Our sages have detailed another method to check longevity from the Fingers of the Sun and Mercury. It has already been stated that setting of Fingers evenly in a straight line indicates long life. On the same principle, they have outlined that if the line of the middle phalanga if the line of the sun or Apollo is found above the line of the middle phalange of the line of the Mercuery, the subject enjoys 100 years of life. If both phalange are at the same level one get 80 year and if the line of the sun finger is lower then that of the Mercury finger, one get the life span of 70 years. Futher when the middle phalange of the Sun finger is lower in position then half the distance between the top and middle phalange lines of the little finger , the life of the subjest will be 60 years. Another popint that they say is, is the length of the finger of Mercury is up to the first phalange of the Sun Finger the life expectance of the person is for 100 years.